Members of the Washington Township Middle School Project Unify club gathered for a group picture after enjoying an hour of bowling. 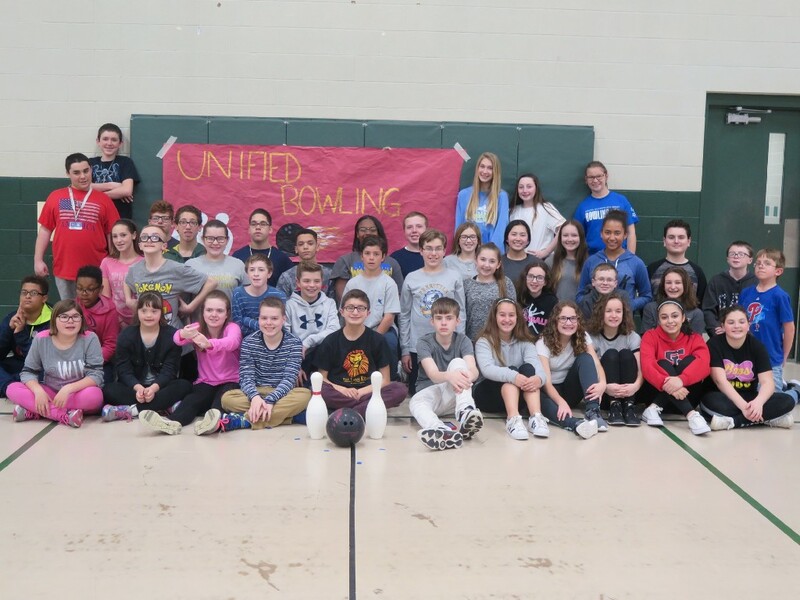 The pins were flying and spirits were high as special and regular education middle school students teamed for fun in the Project Unify event on April 25. The after-school activity was organized for all three district middle schools by Orchard Valley Middle School adaptive physical education teacher Karen Elgrissy and hosted at Bunker Hill Middle School. Some 40 students took part in the action, taking turns bowling, setting up pins and keeping score. Sponsored under the umbrella of Special Olympics of New Jersey, Project Unify is a club whose goal is to activate young people to have true cultures of inclusiveness between special and regular education students. The activities promote socialization, skill development and teamwork.